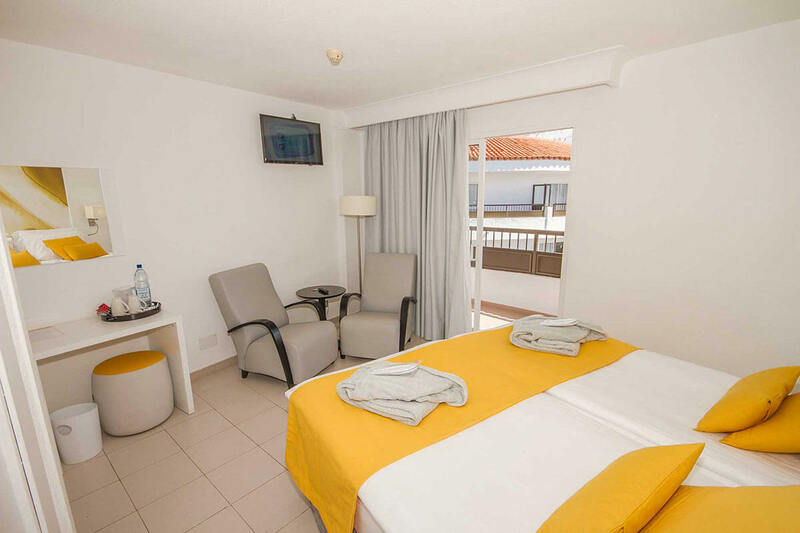 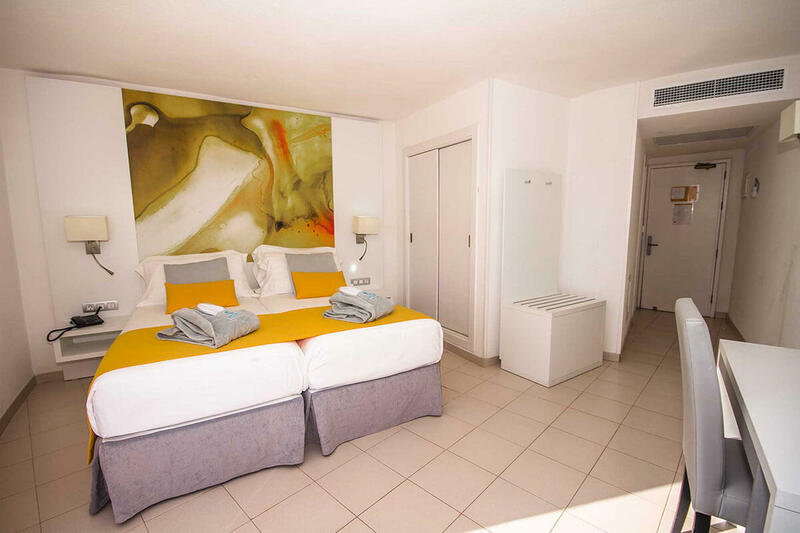 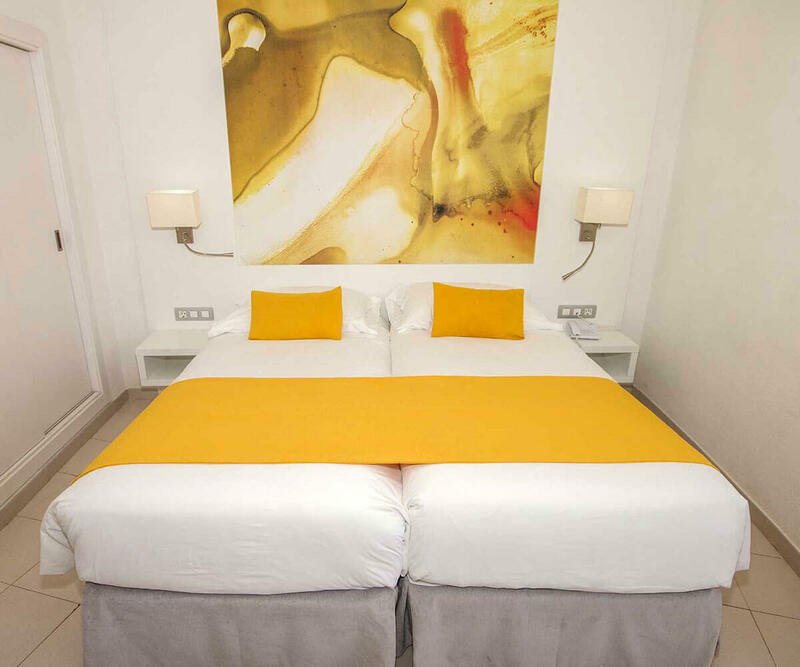 Recently renovated, our Double rooms are equipped with two single beds joined together and a comfortable sofa bed, bathroom with shower, large balcony with a table and two chairs, air conditioning and TV with international channels. 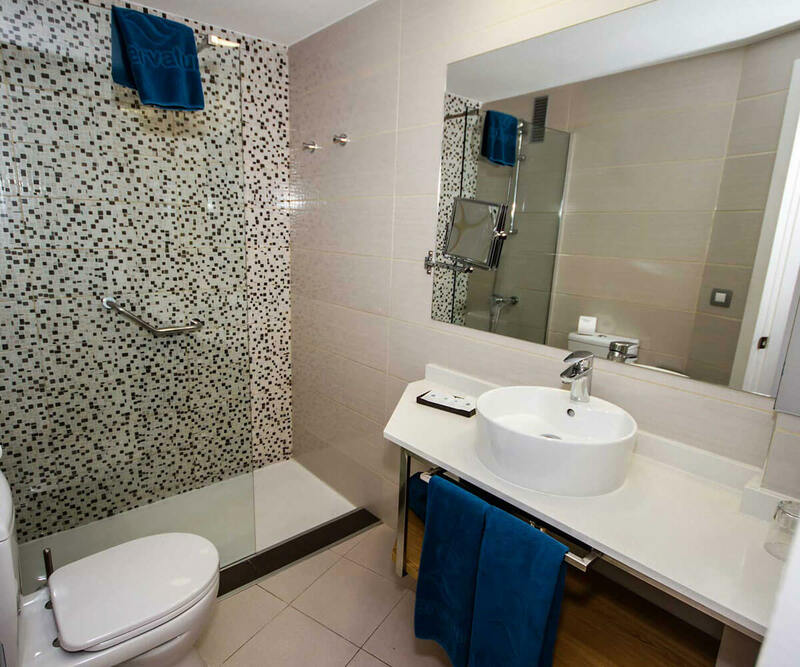 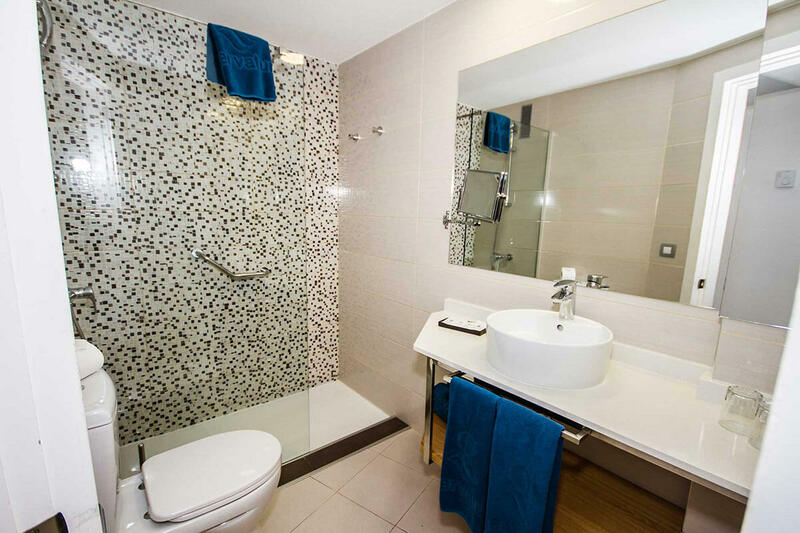 This room has extra amenities to make your stay even more special. 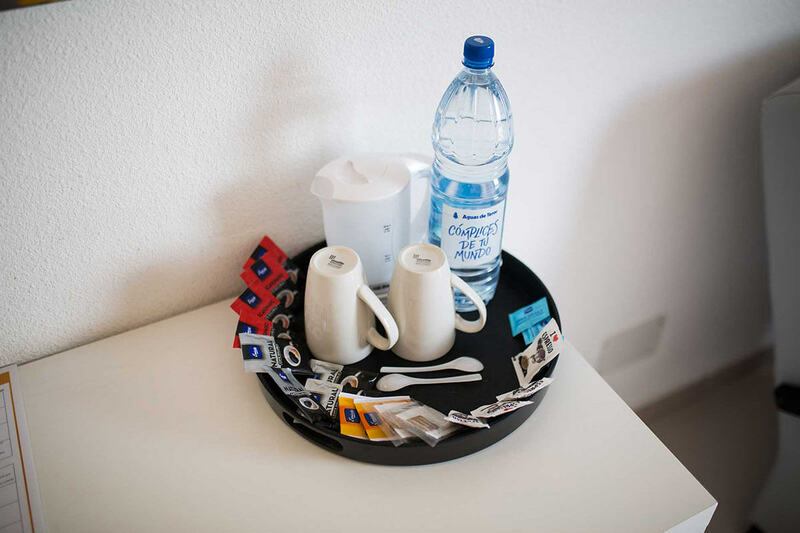 It is equipped with bathrobes and slippers, welcome tray with tea and coffee and a larger TV. 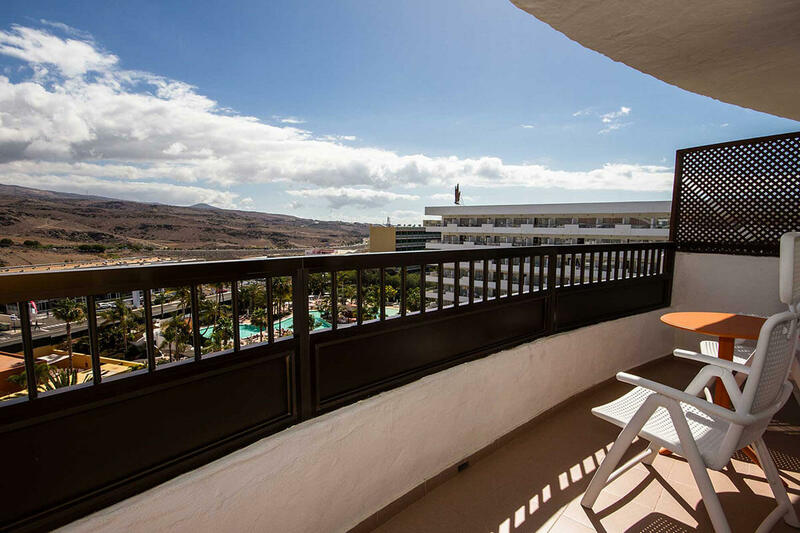 The balcony has recliner chairs so you can sunbathe with complete comfort. 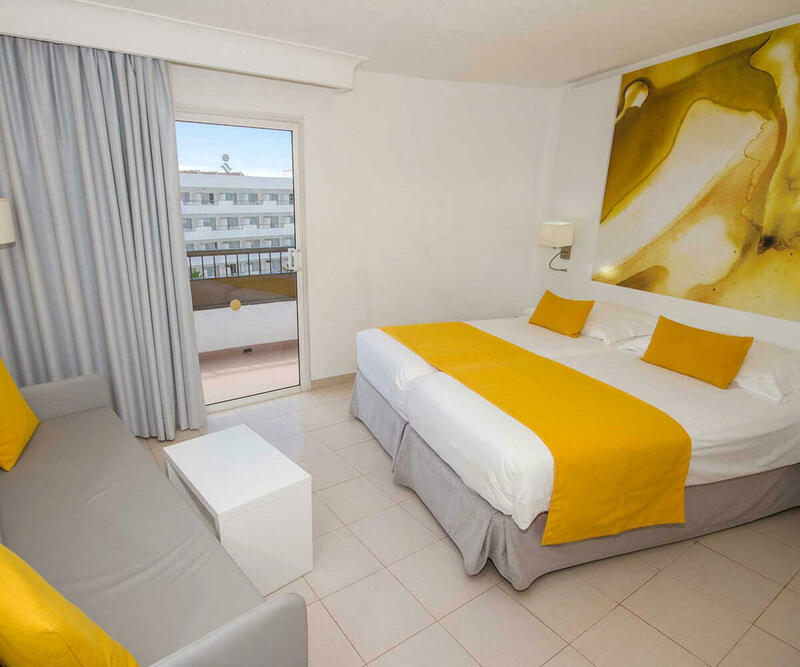 Enjoy the best location and views in the whole hotel in this room. 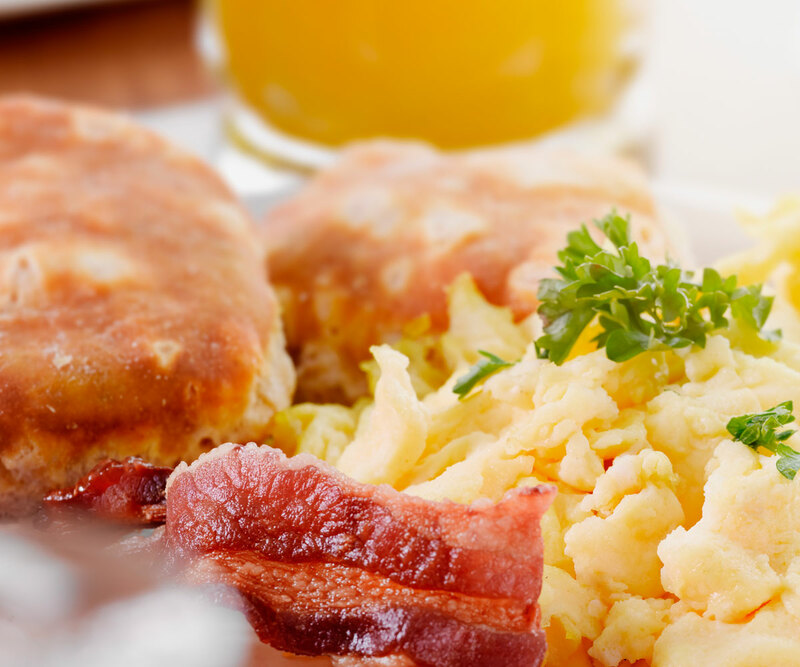 Breakfast: 7.30 a.m. to 10.00 a.m. 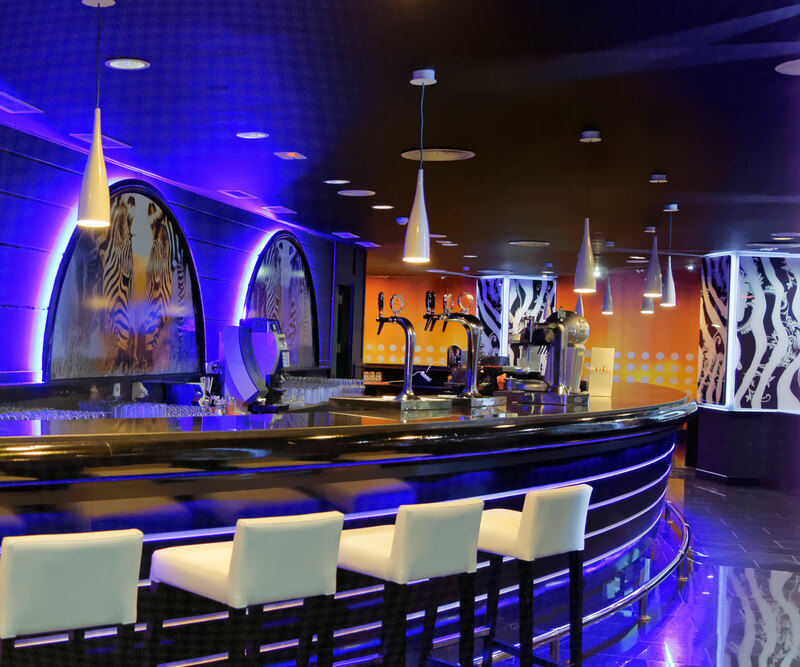 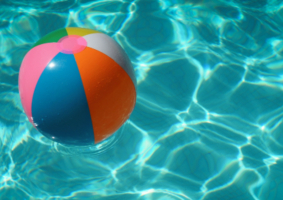 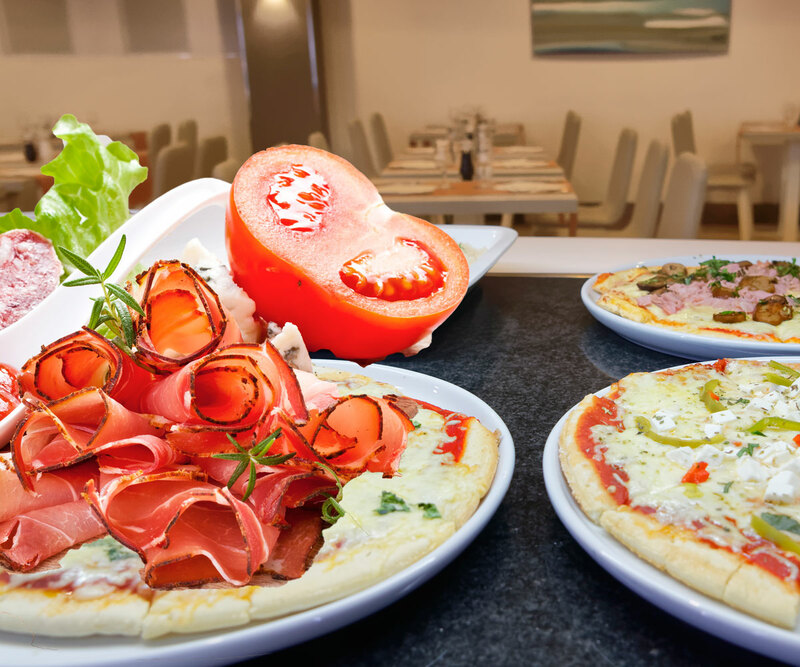 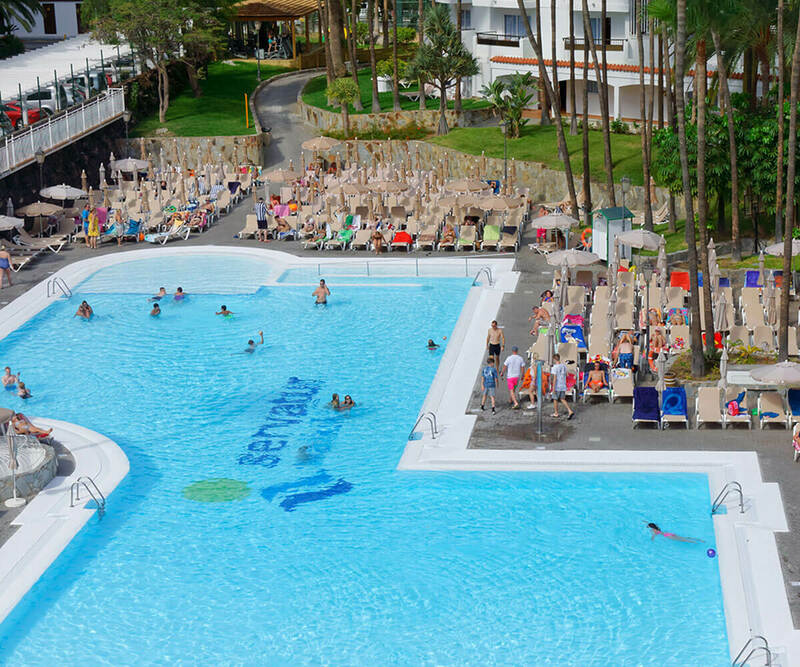 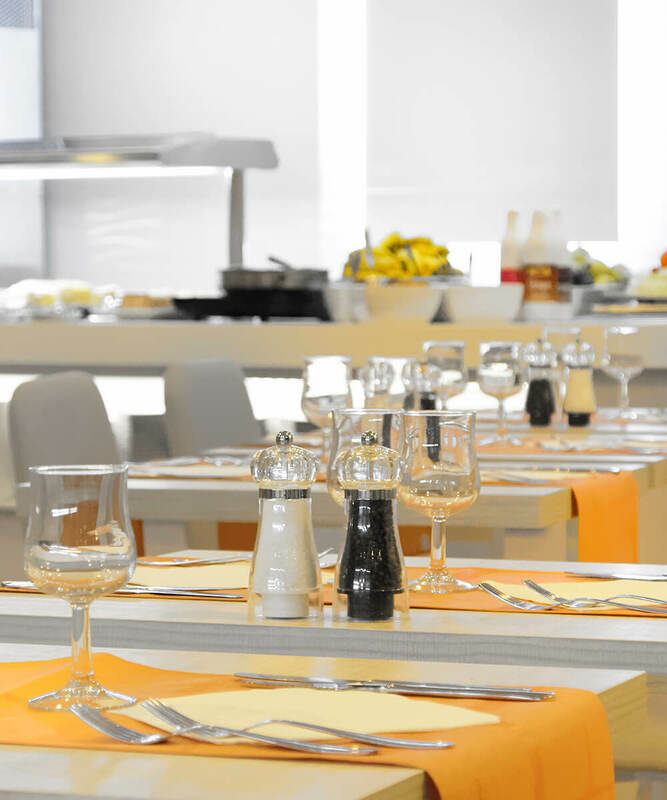 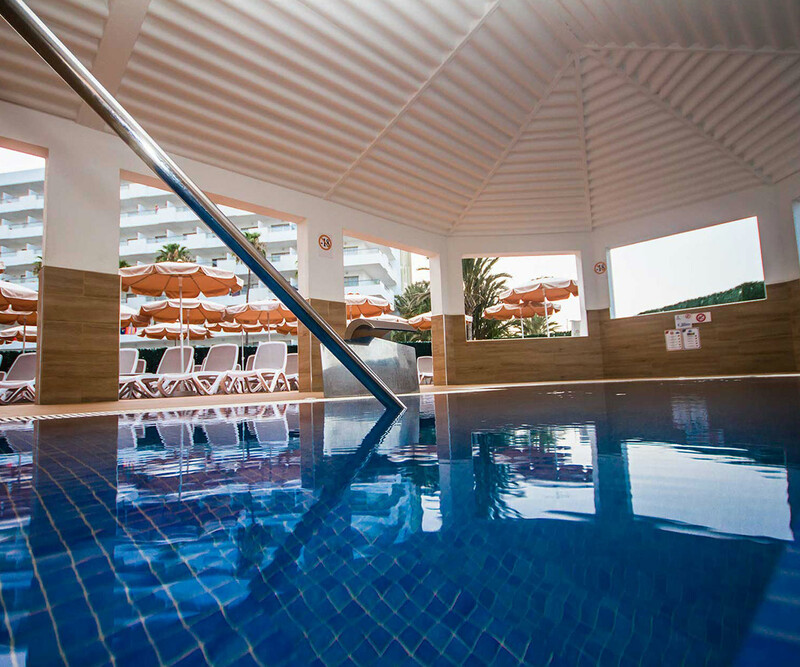 Lunch: 1.00 p.m. to 3.00 p.m.
Dinner: 6.30 p.m. to 9.45 p.m.
One of the hotel’s key features is its pool bar. 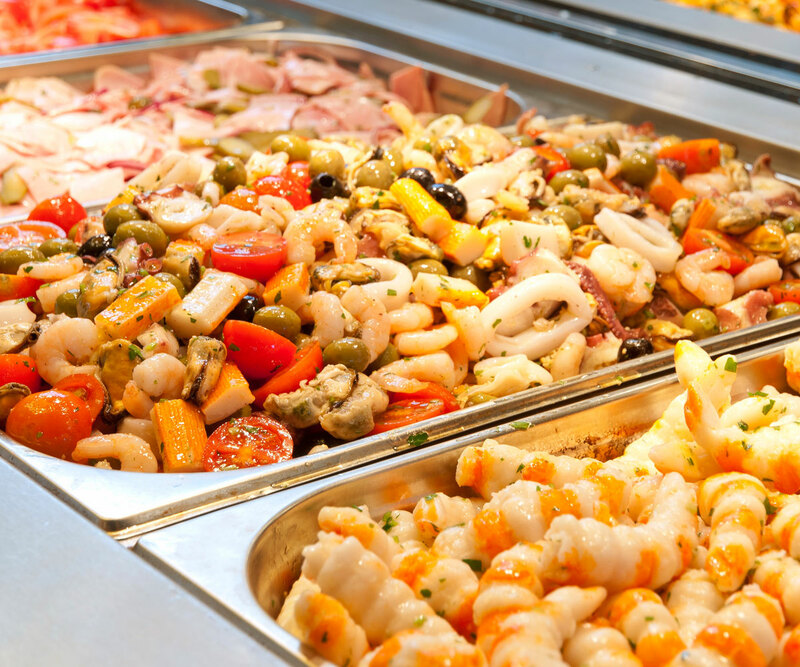 Don’t miss out on our large selection of snacks. 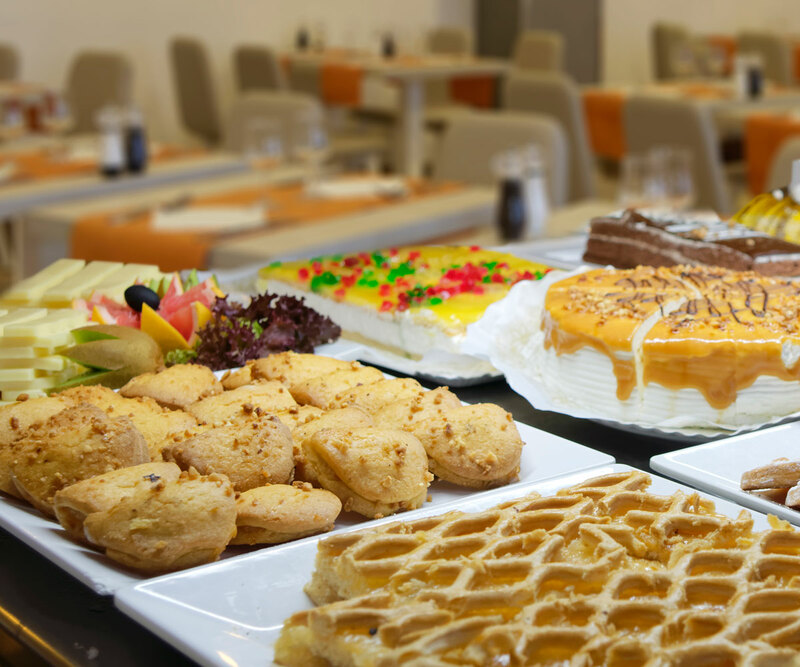 Snacks available from 10.00 a.m. to 12.00 p.m. 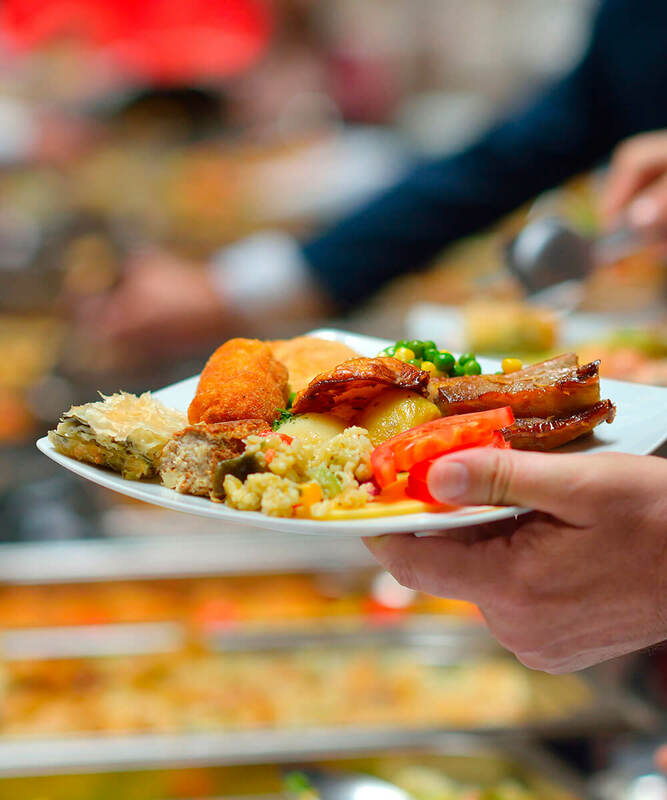 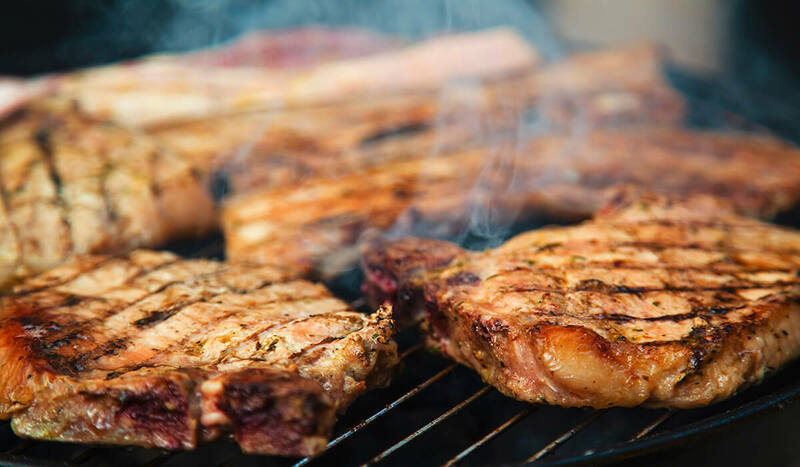 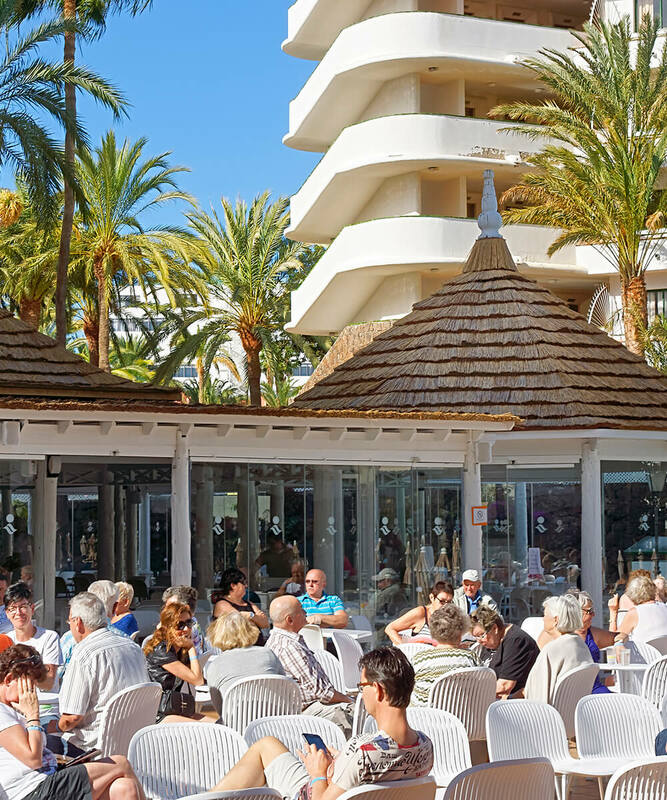 The opening times of restaurants and bars may change from summer to winter. 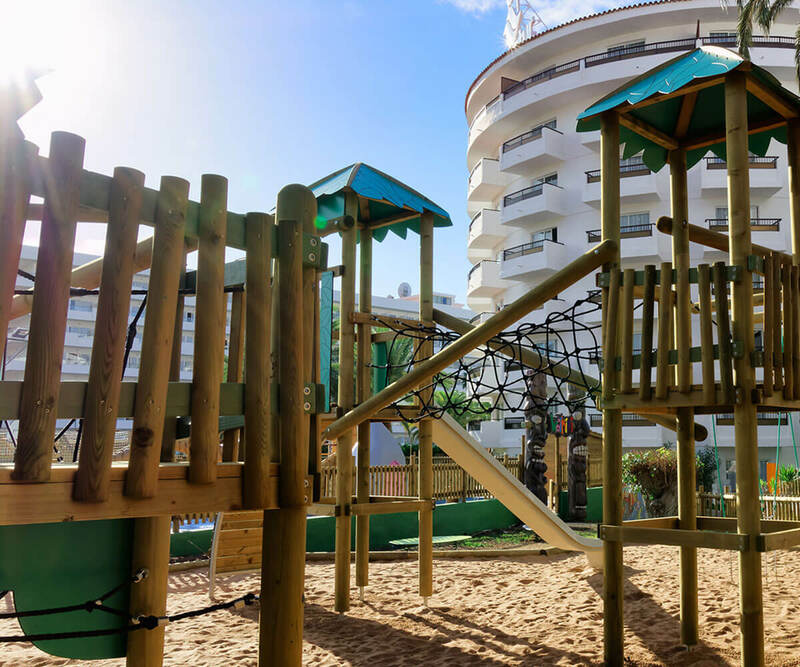 The complete selection of services and facilities at Hula-hula Park make Servatur Waikiki the perfect hotel for the whole family. 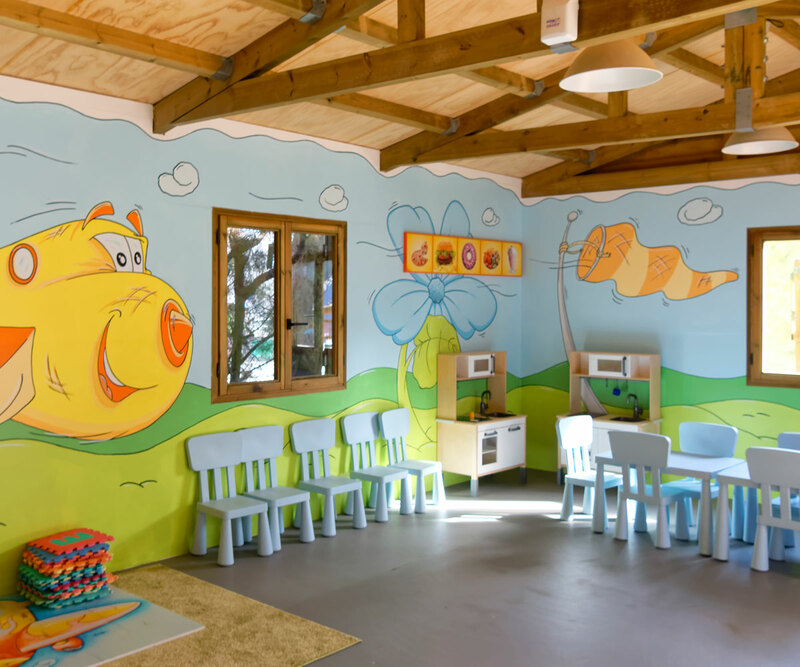 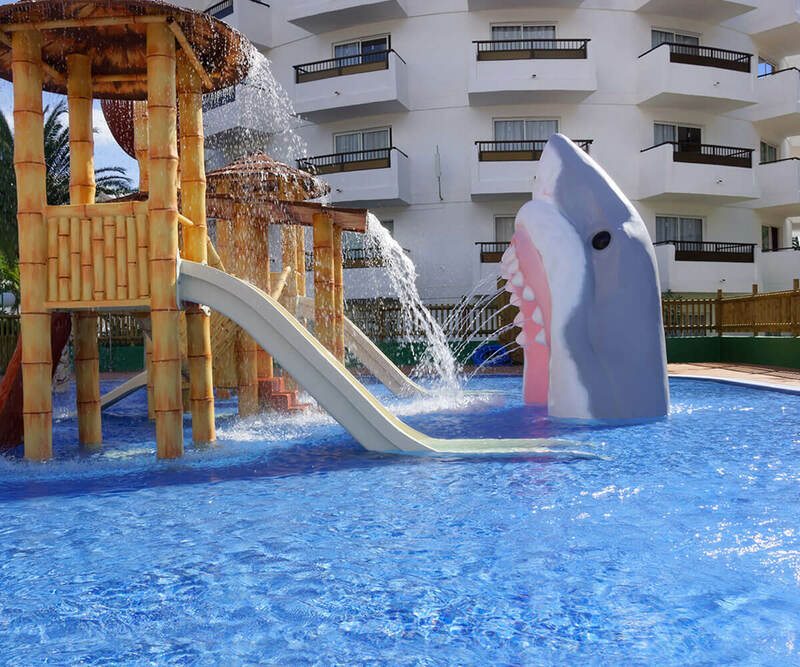 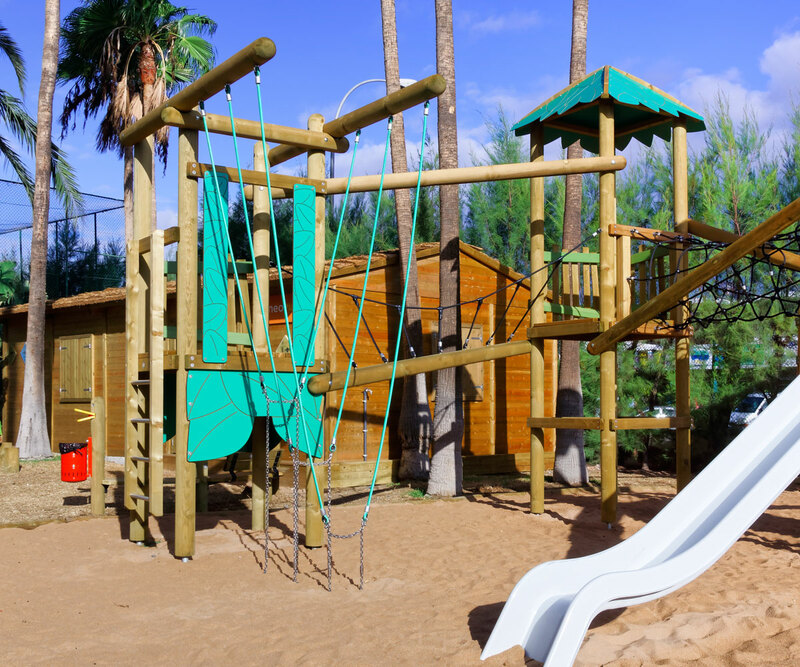 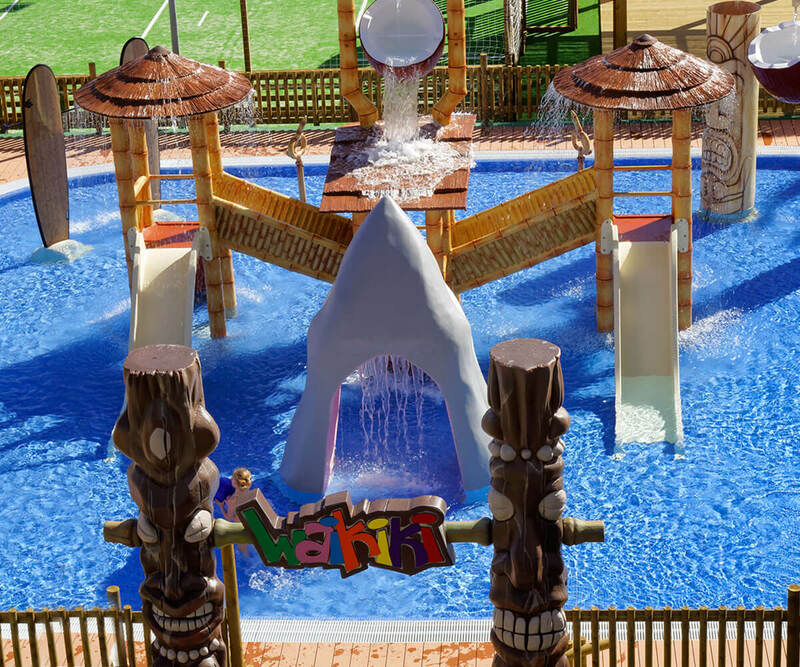 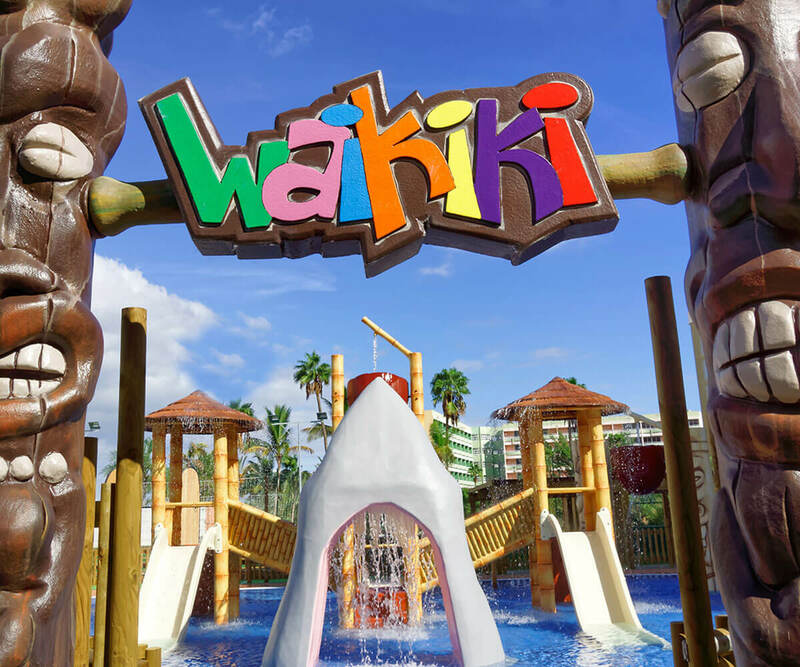 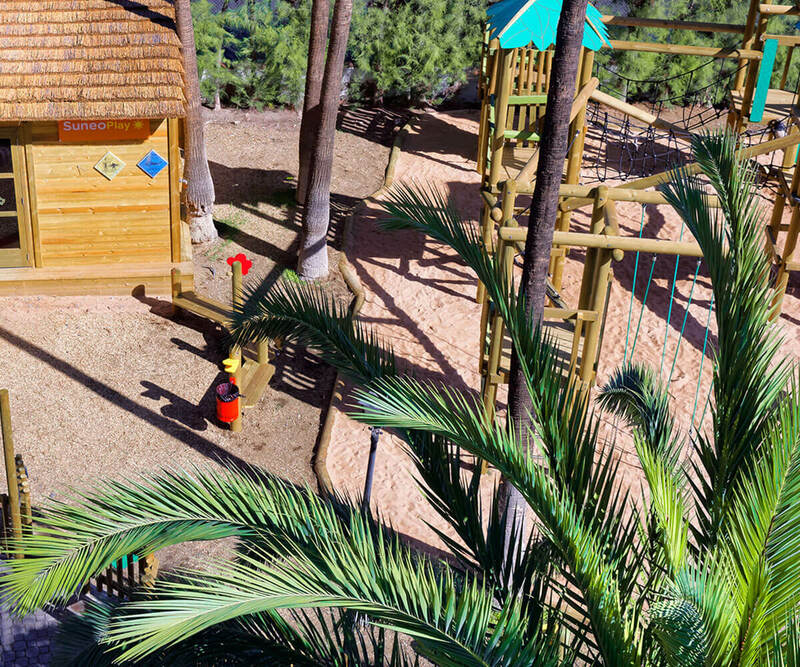 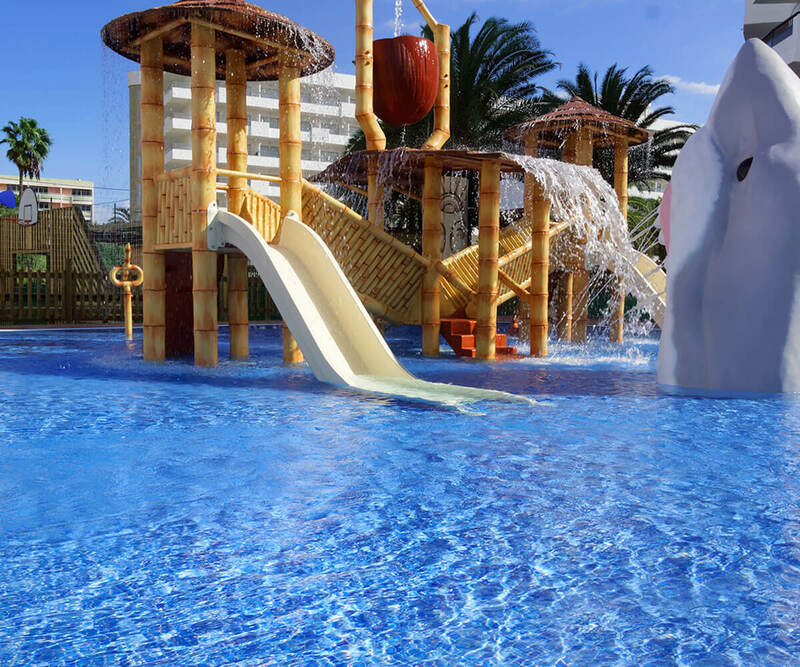 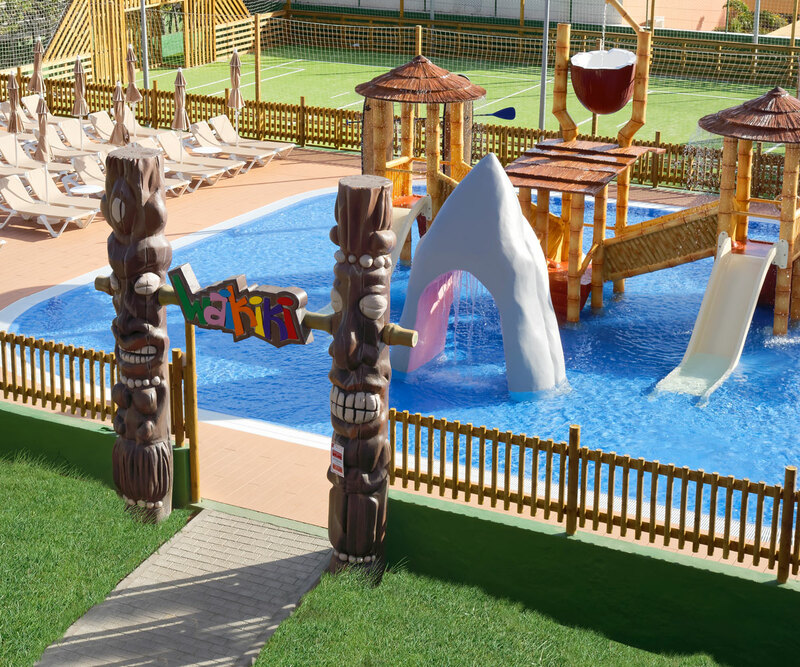 Our youngest guests can enjoy a splash pool with slides, water guns and flying coconuts; an adventure park and a Kids Club cabin. 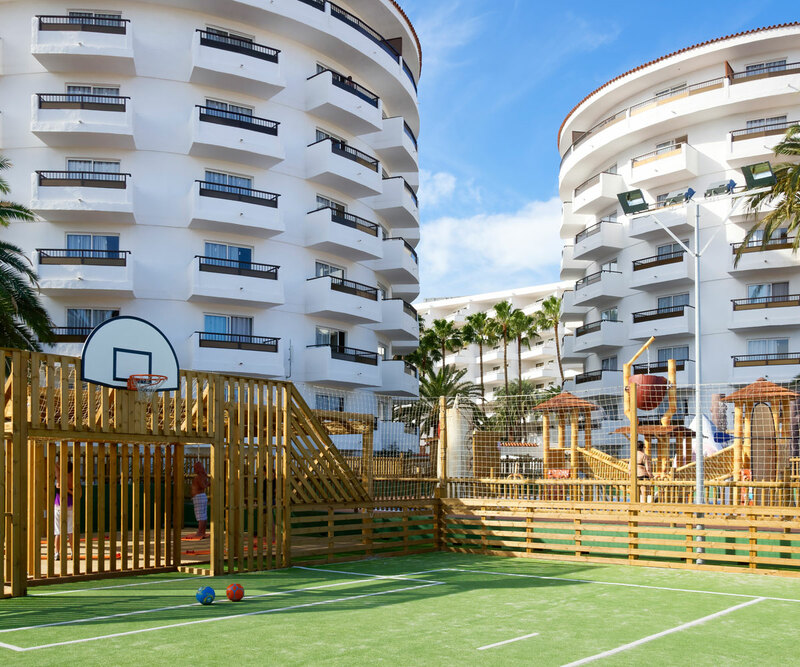 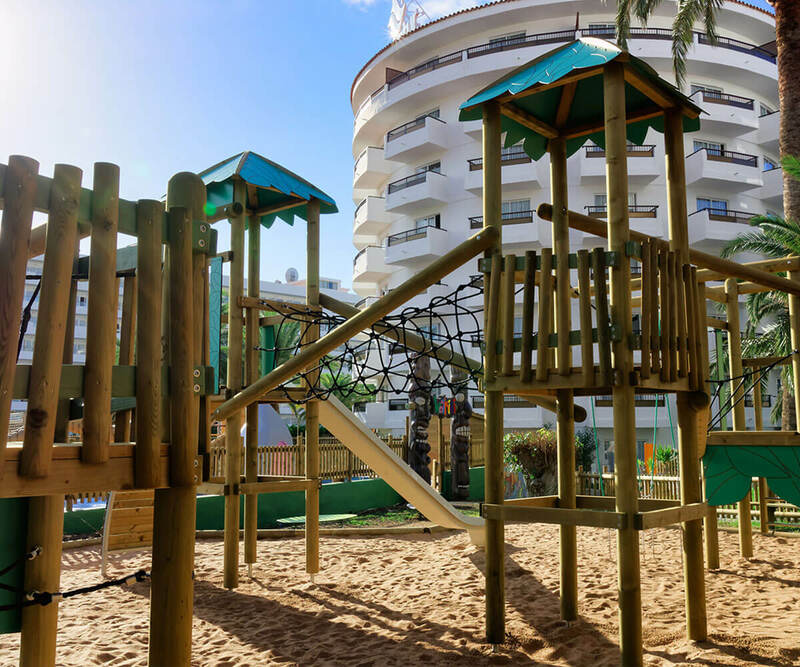 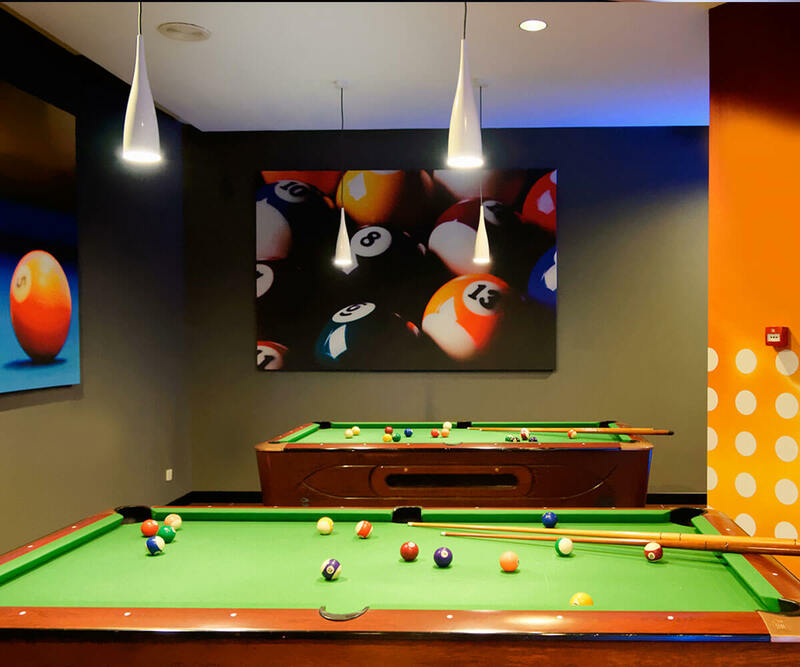 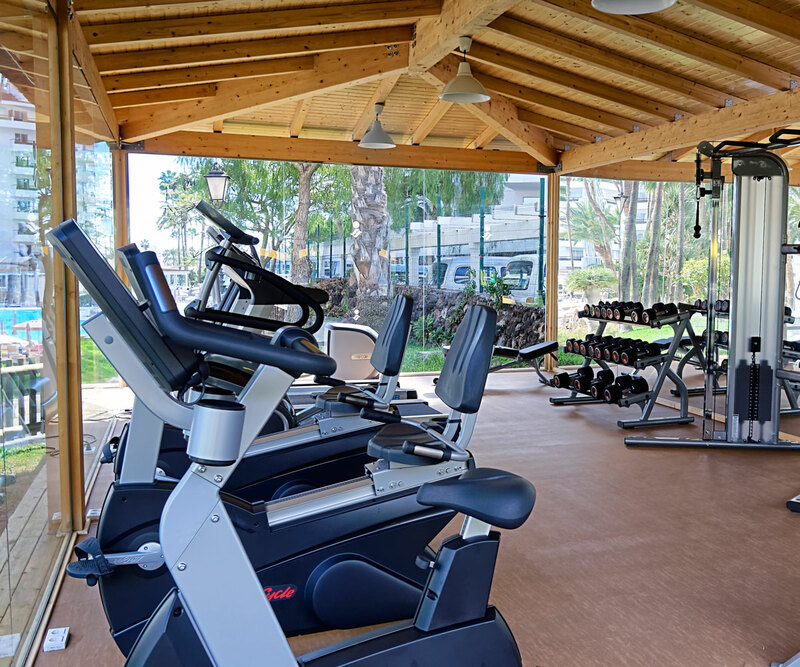 We did not forget about the adults, who can enjoy a multi-sports court to play football or basketball, a Zumba area with a fitness programme and our new gym overlooking the swimming pool. 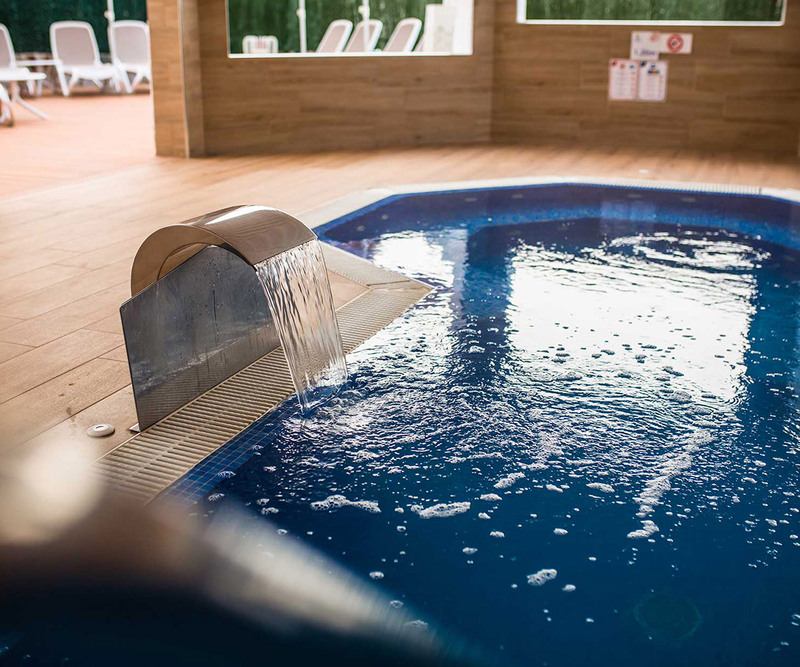 This area for adults only has a heated swimming pool which simulates a Jacuzzi effect thanks to its waterfall jet. 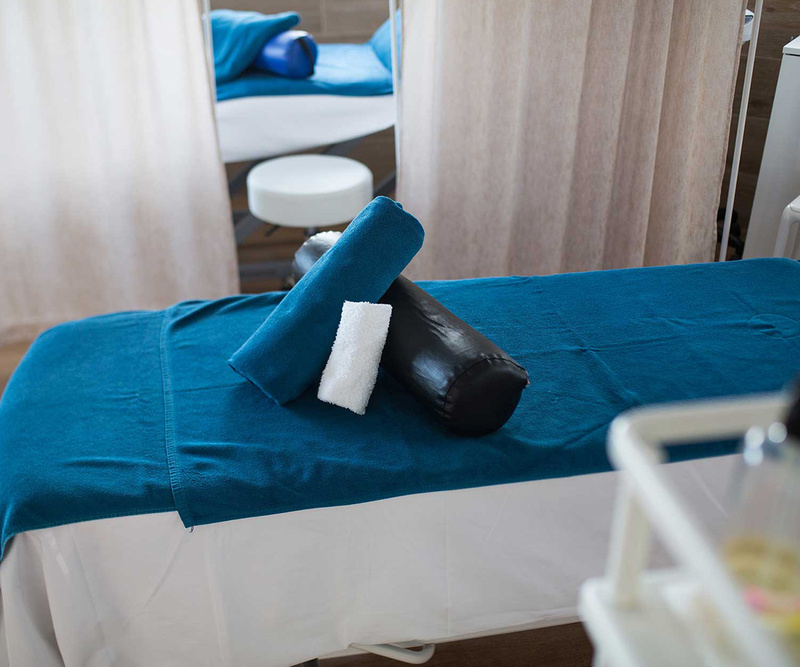 The facilities also include a wellness area so that your relaxing experience is complete. 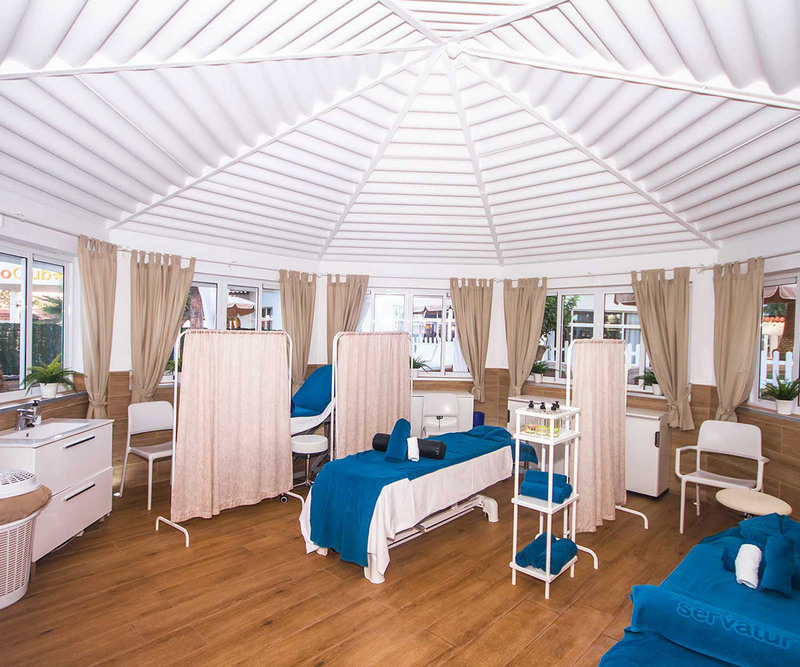 The solarium is equipped with sunloungers and Balinese beds among tropical palm trees, a spectacular space where you can immerse yourself in the peace and quiet of your surroundings. 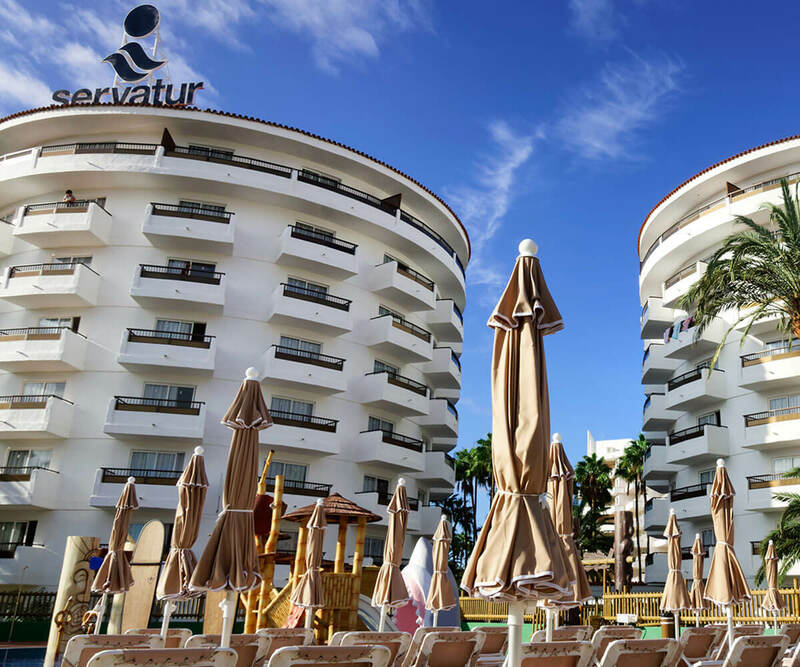 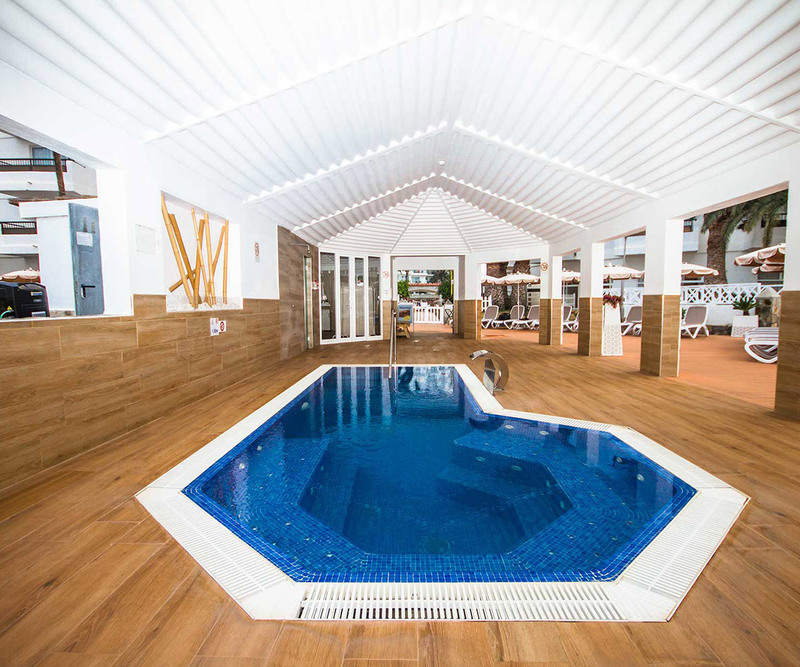 Relax and enjoy a refreshing swim under the beautiful Gran Canaria sun in the fantastic facilities of Servatur Waikiki. 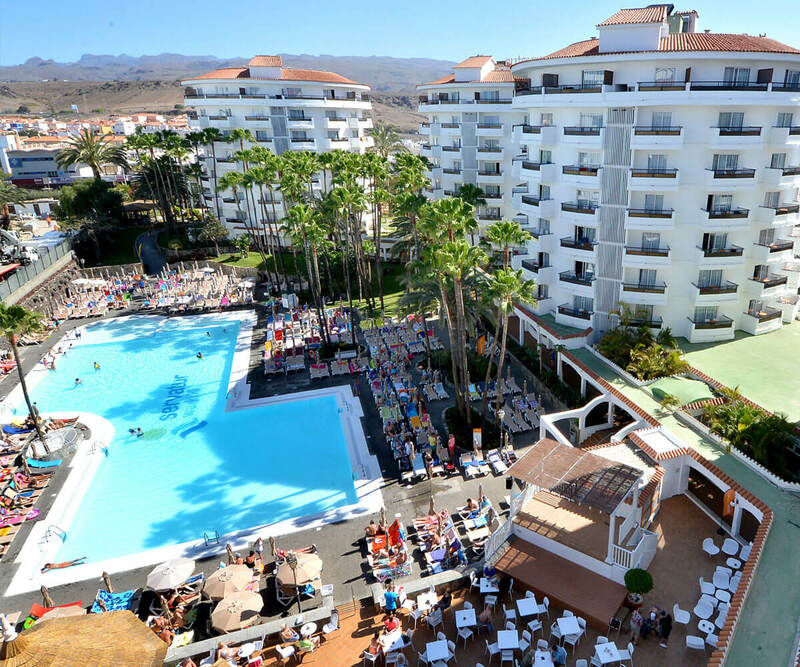 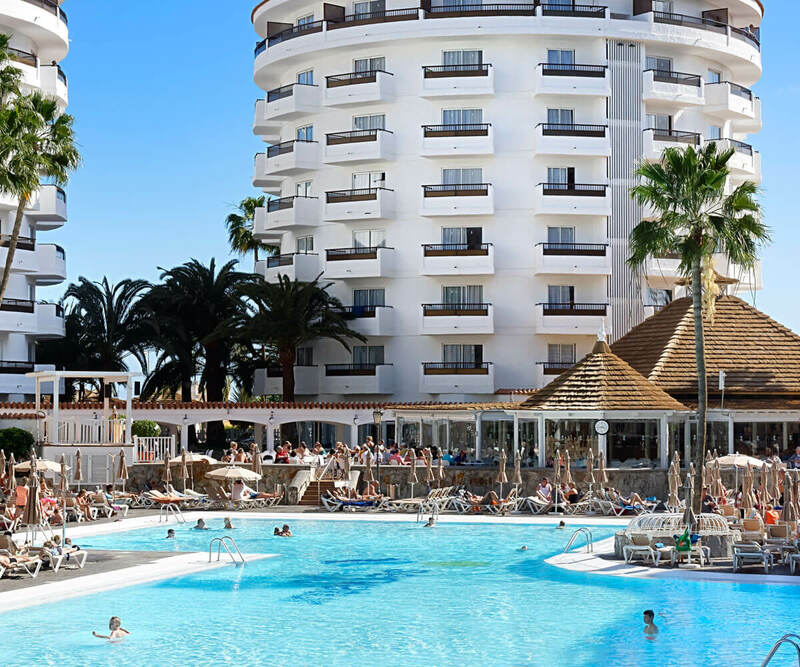 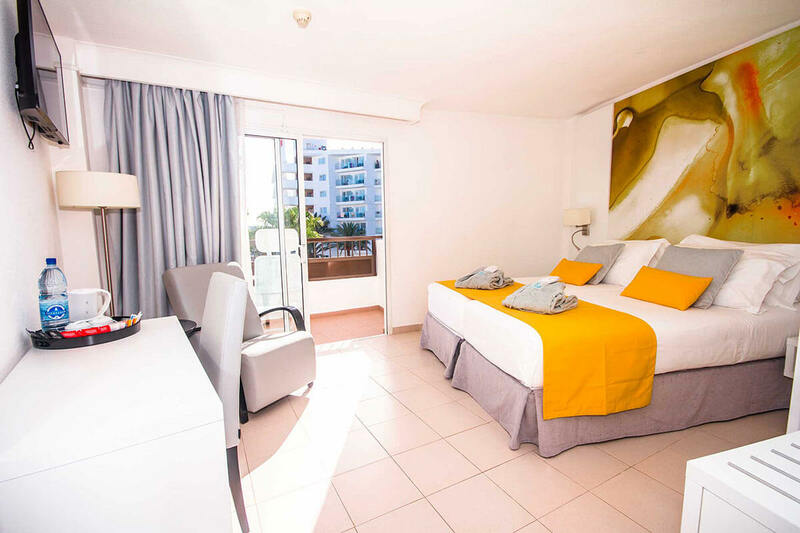 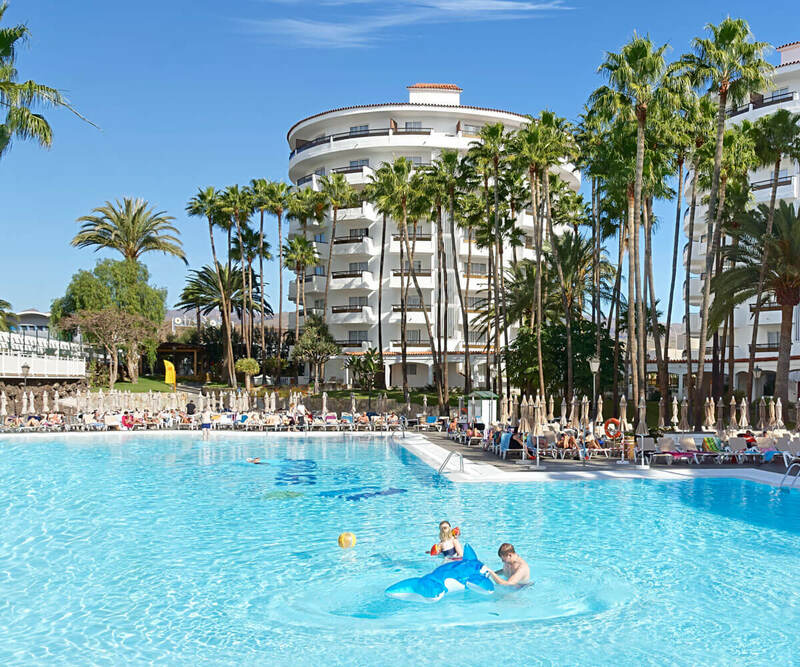 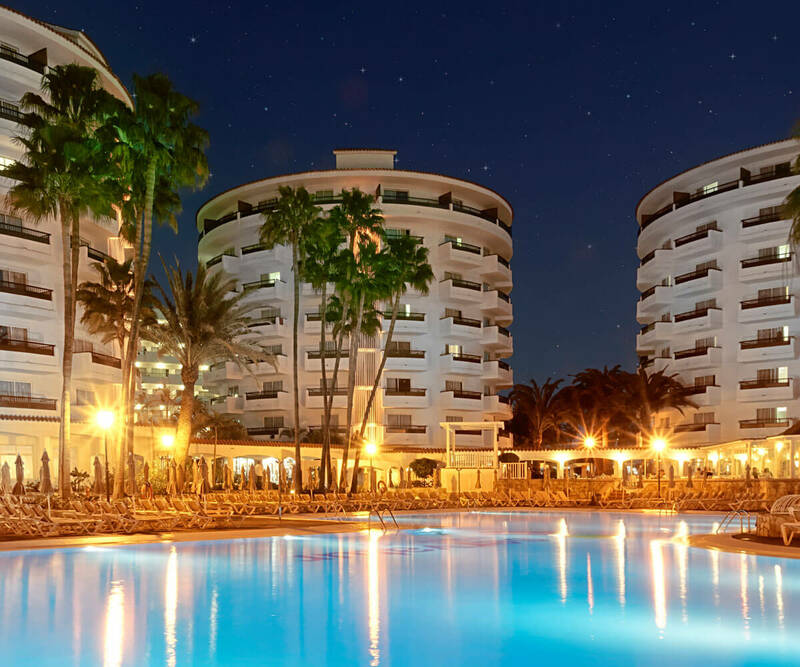 Hotel Servatur Waikiki is located in Playa del Inglés, one of the most wonderful beaches in Gran Canaria and the liveliest and most touristic area on the island. 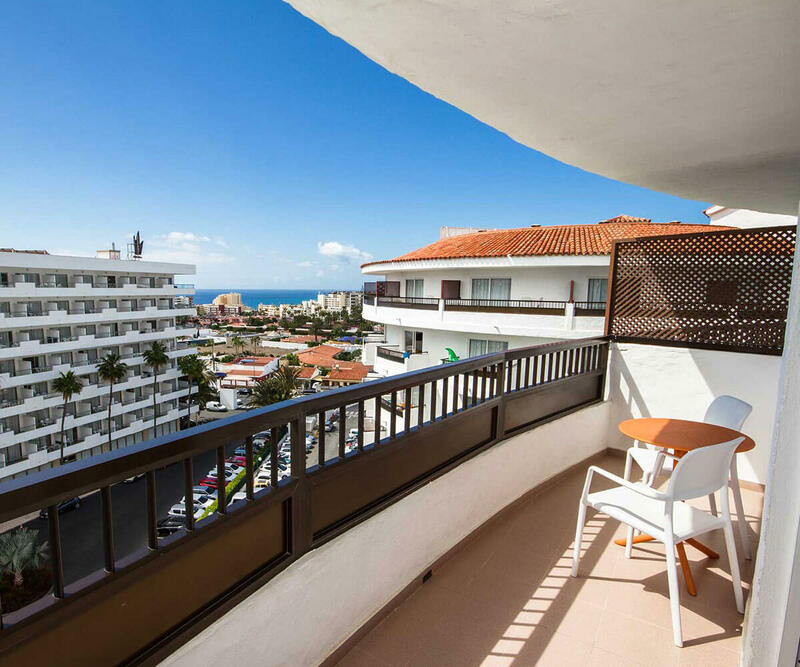 Avda de Gran Canaria, 20, 35100, Playa del Inglés, Gran Canaria.